Heat oil in a pan,temper all ingredients one by one from tempering list. Add green chilly and onion,saute for a while. Add ginger garlic paste and saute again. Allow to boil ,then slowly add the broken wheat,cover with lid and cook. Once it's done,add cilantro on top,mix well. Serve hot with any Chutney/ Pickle. 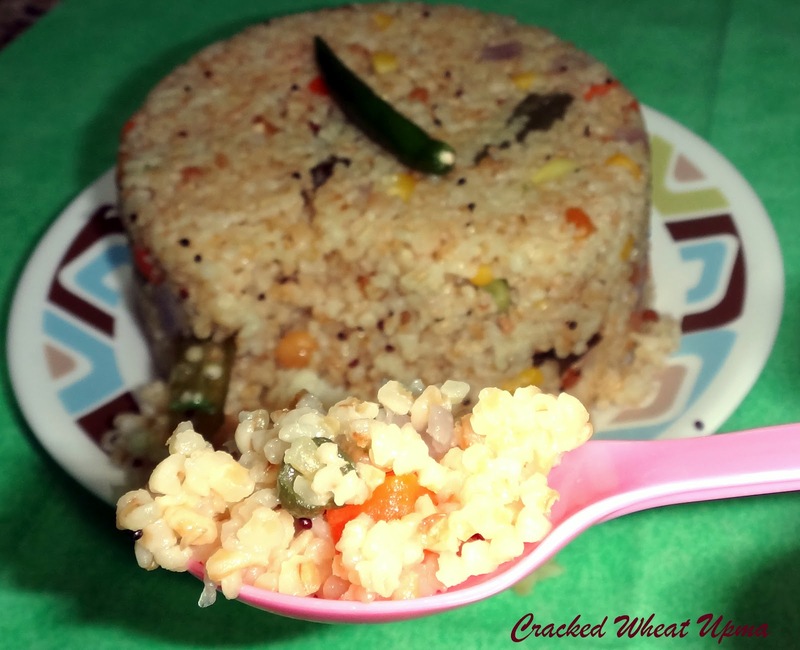 Some people prefer to make this in pressure cooker,you can follow the same method for pressure cook method.Instead of pan ,use cooker that's it. I used frozen vegetables,use carrot,beans,green peas and cubed potato. My mom makes this often,very healthy BF!! 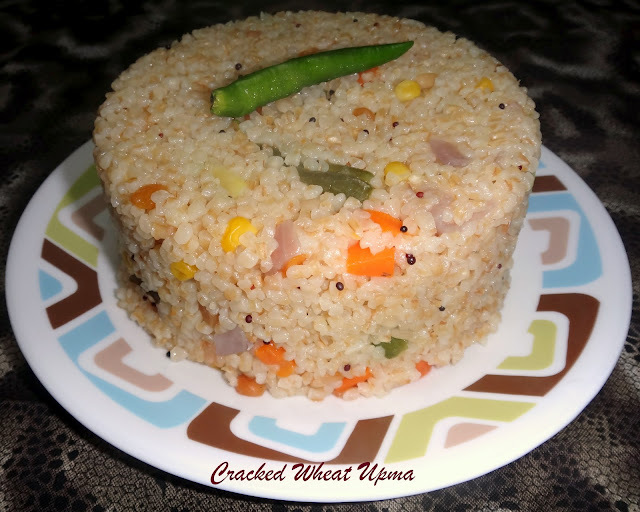 tempting and healthy upma with an awesome presentation.you have a nice blog you can visit my blog and give ur valuable comments. Simple and healthy, perfect breakfast. 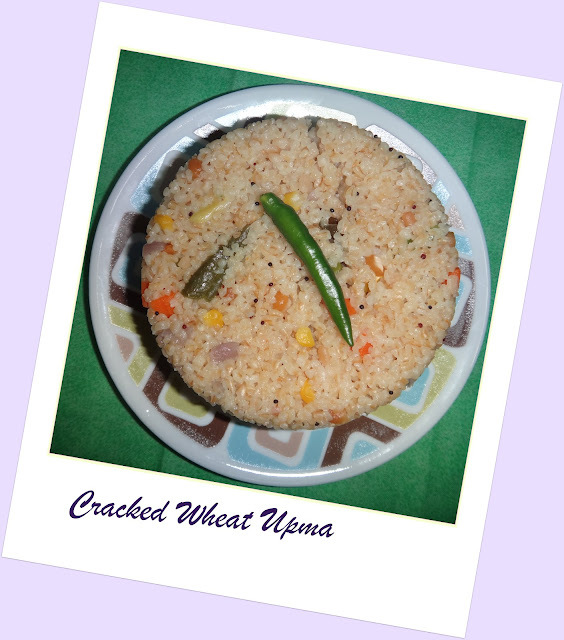 Even I make this often, very nicely done, first time here Prabha and wud love to follow U..
nice and healthy breakfast. love your space.